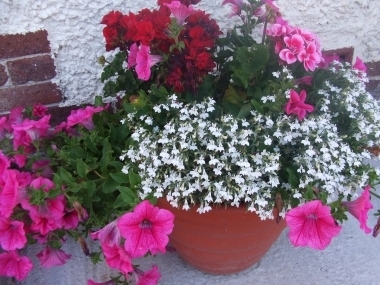 I love to see tubs spilling over with flowers. 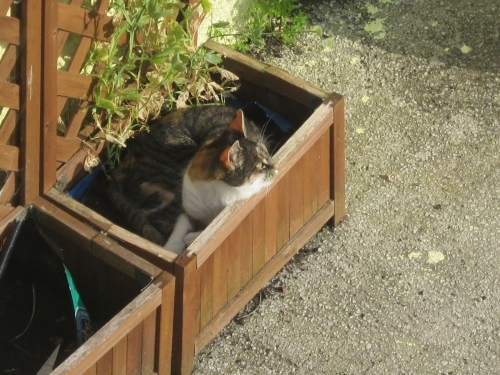 In the spring, wanting my husband to get involved in the garden, I suggested he choose plants for five large tubs. I was imagining petunias and lobelia... he planted potatoes! Mind you, it has been rather nice to have our own home-grown spuds. The variety he chose is okay when boiled but fabulous as roasties. Although I love to see gypsophilia fluffing up a bouquet, I've never grown it in my garden before - but now you can officially consider me a convert! This is a close-up of just part of one young plant. 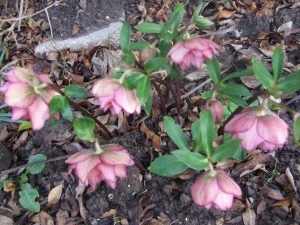 I planted two pink gyps in the spring and they are now smothered in tiny blooms. So pretty - and also suprisingly tough. 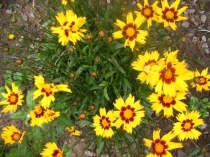 They survived heavy rain without being flattened. 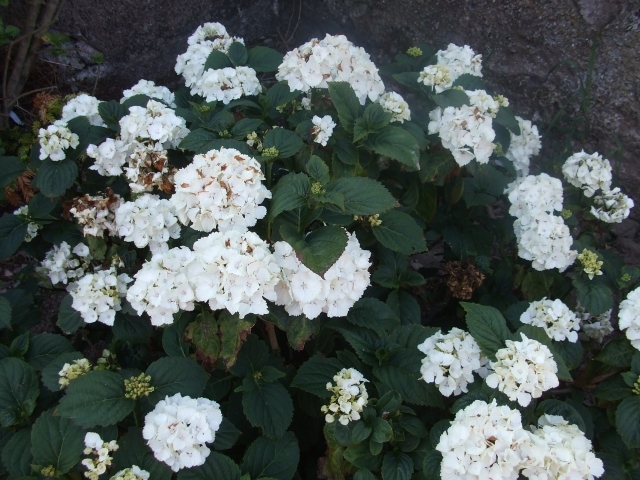 This white hydrangea used to live in a tub, where it did okay, though not brilliantly. It always produced a pleasing numner of bloms, but they faded quite quickly, which was disappointing. 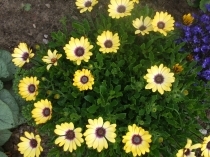 This spring, I planted it in the front garden and - wow! What a difference. 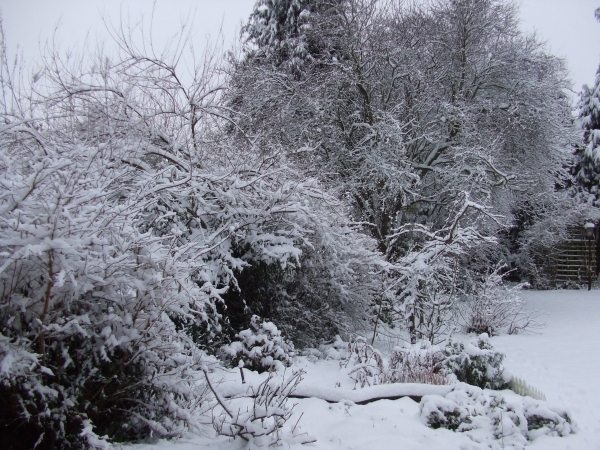 It is now smothered in flowers and they are retaining their beautiful crisp whiteness. 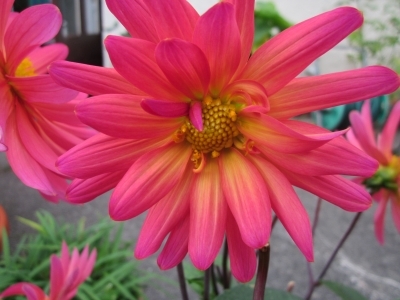 Do you like dahlias? This one is my favourite. It is called Fuchsiana. 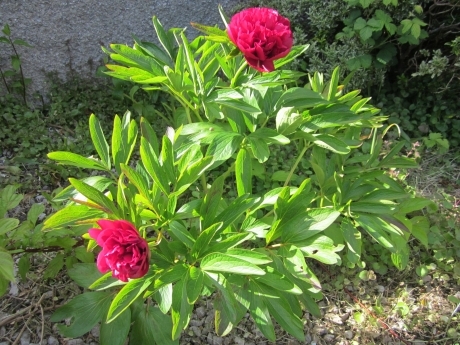 I know this peony doesn't look spectacular, with just the two blooms, but this is a special plant. 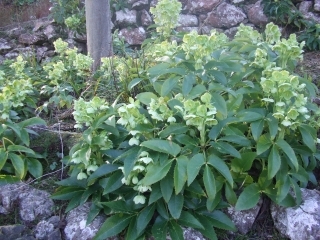 We had a huge shrub beside our gate, which wrapped itself lovingly round the postman every morning. We decide to have it removed... and the following spring, look what grew. This peony had been dormant for years. 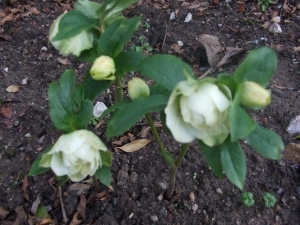 Hellebores are among my favourite flowers. Here are two young ones of mine. 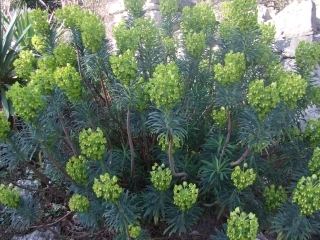 I also love euphorbia. They are such architectural plants. 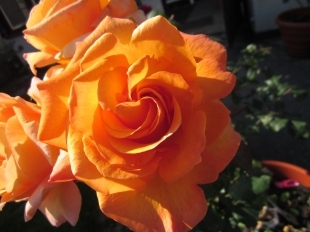 In common with most people, I love roses. 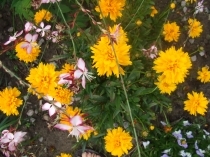 All the ones I have chosen for my garden have one thing in common - they are all fragrant. 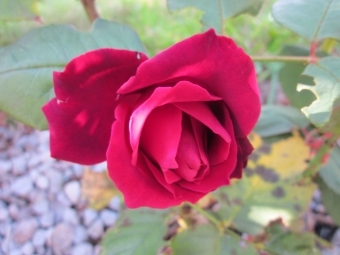 This is my favourite rose of all. It is called Deep Secret. 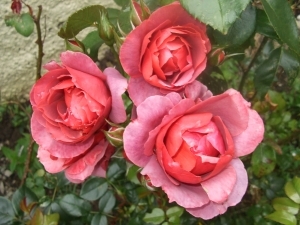 Deep Secret is meant to be a tea rose, but this one thinks it is a floribunda - and it isn't alone. I have two that are prolific at flowering. 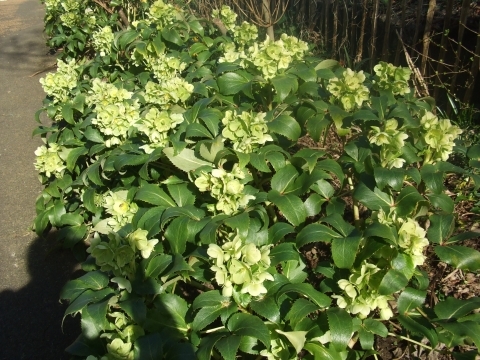 This photo shows just some of the 20 buds that were on a single stem. This one is Chinatown. 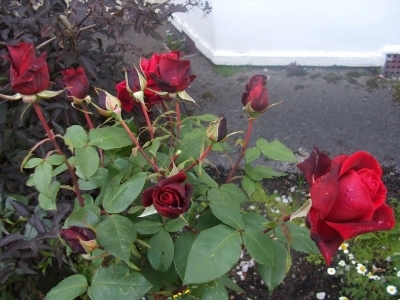 It is one of a pair of roses I was given by my former colleagues when we left England and came to live in Wales. 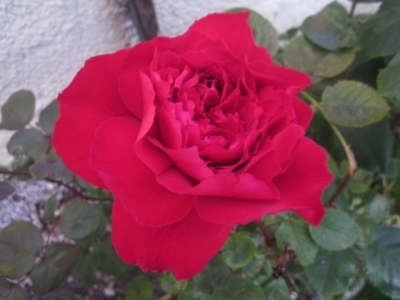 And here is the other rose I was given. It is called The One and Only. 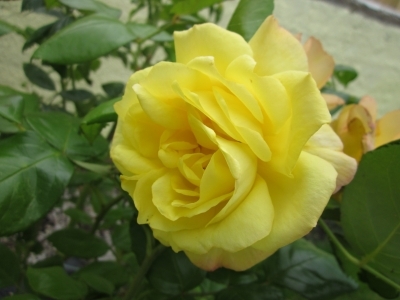 These two pictures show Doris Tysterman, which has rich golden petals delicately edged with pink, and a fabulous fragrance. This is called Hot Chocolate. It was given to me by some dear friends when we lived in England. 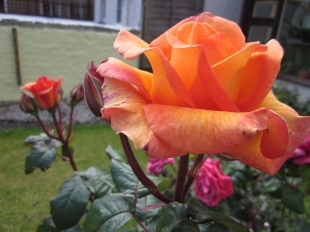 I brought it to Wales when we moved and, along with the other roses that I transplated, it survived the move and has flourished in the sea air. 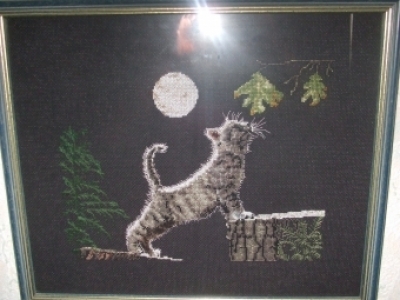 I love needlework and am self-taught. I learned dressmaking from a weekly magazine and I learned embroidery from a book of embroidery stitches. 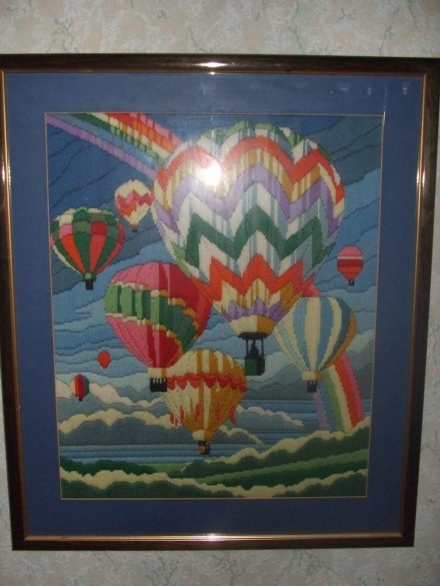 This is one of my favourite - possibly my most favourite - pieces of needlework. It is done in crewel work. See if you can spot the mistake in it! 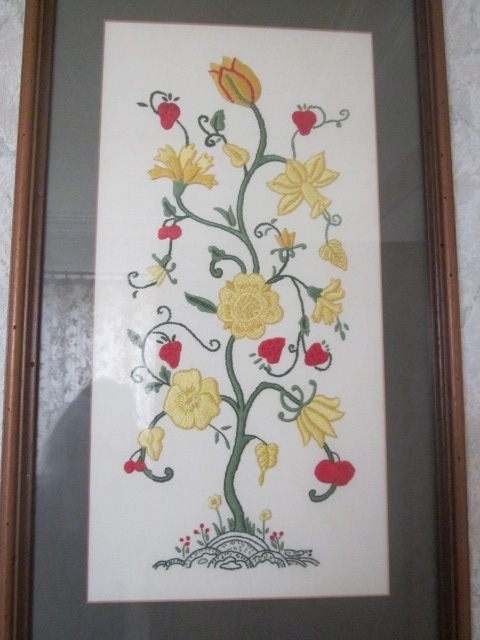 I worked this as a companion piece to the Jacobean-style embroidery above. I love spring bulbs, so this mixture of daffodils, tulips and grape hyacinths was perfect. It is a Mary Hickmott design. 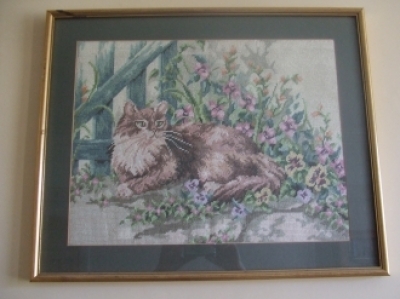 This picture is worked in petit point on canvas. It was done as a birthday present for my mum. I love working on black - the results are so handsome. This is another picture that I did for my mum (guess what kind of pets she had!) and she loved the sheen-effect from the moonlight. It is worked in cross stitch. This is worked on canvas and is a mixture of petit point and embroidery, using wools, embroidery floss and ribbons. 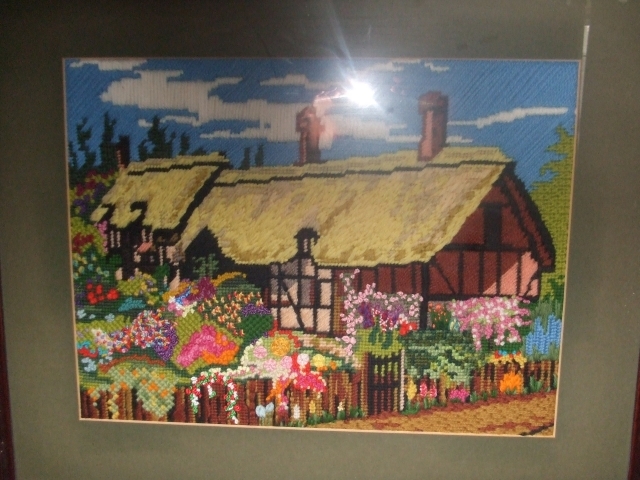 The canvas was printed with a picture of Anne Hathaway's cottage, which was meant to be worked in petit point, but I decided to experiment. 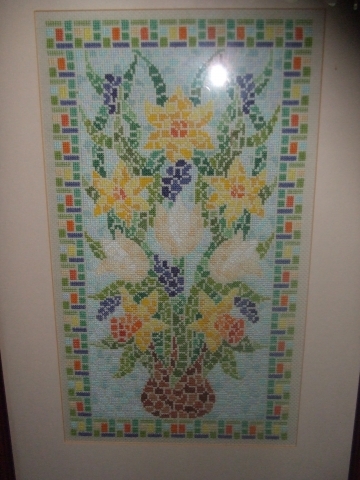 I put in all the coloured flowers and added texture by using a variety of stitches. 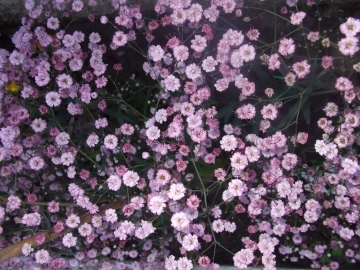 The pink-and-white blossom on the right-hand side - that was a tree that stood outside by window. This picture is worked in long stitch. After it had been framed, I saw the mistake I'd made(!). 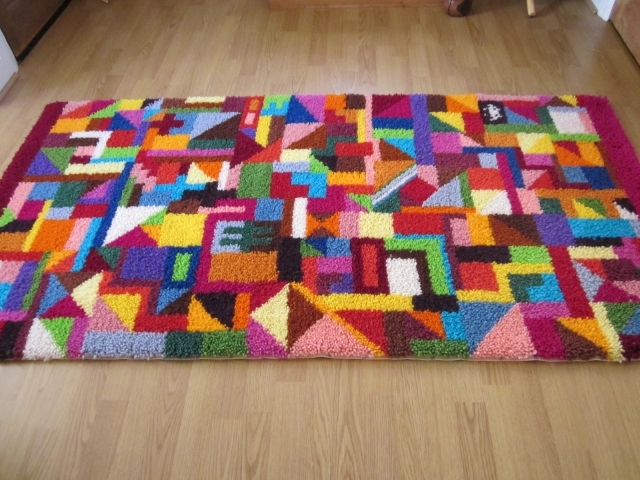 This rug took 3 months to make. Have a look for the 'space invader' in the top right, which was included at my husband's request. This is one of the carpets Gran made. This picture was taken when I was in the middle of moving into a new home. 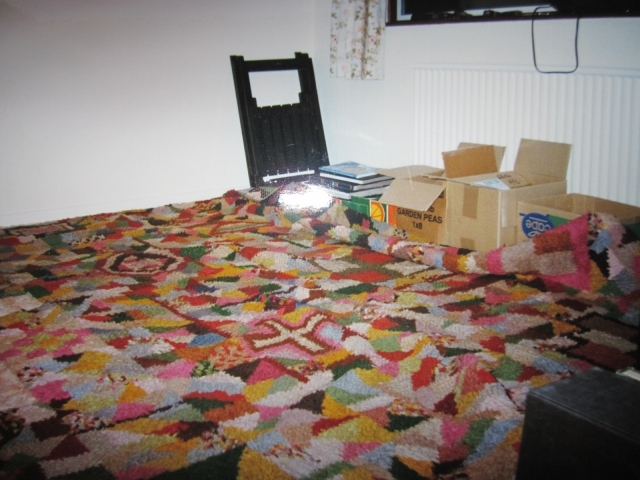 The carpet at this point was about 30 years old. Reading for Solace is a guest blog I wrote about the power of reading to allow you to leave your real-life situation behind for a while. Using a Real Location. Guest post for Allison & Busby. The Romantic Novelists' Association runs a scheme by which unpublished authors can submit their work to be critiqued by a writer who is published in the same genre, eg historical, chick lit, romantic suspense. Romance Matters, the magazine of the RNA, asked me to contribute to an article about the NWS (New Writers Scheme). 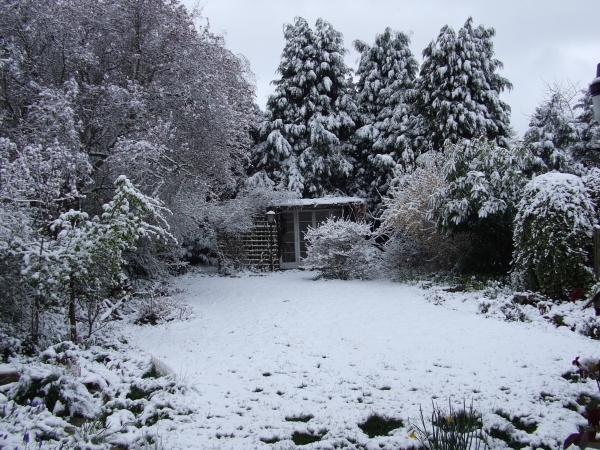 Rachel Summerson wrote about being a reader, specifically about reading Jean Fullerton's first NWS submission. 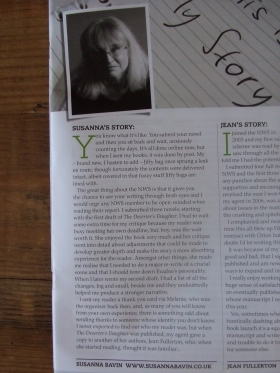 Jean wrote about being critiqued and then becoming a reader for the scheme; and I wrote about submitting work to the scheme... and later finding out that Jean was my reader. "You know what it's like. You submit your novel and then you sit back, anxiously counting the days. It's all done online now, but when I sent my books, it was done by post. My - brand new, I hasten to add - Jiffy bag once sprung a leak en route, though fortunately the contents were delivered intact, albeit covered with that fuzzy stuff Jiffy bags are lined with. The great thing about the NWS is that it gives you the chance to see your writing through fresh eyes and I would urge any NWS member to be open-minded when reading their report. I submitted three novels, starting with the first draft of The Deserter's Daughter. I had to wait some extra time for my critique because my reader was meeting her own deadline, but, boy, was the wait worth it. She enjoyed the book very much and her critique went into detail about adjustments that could be made to develop greater depth and make the story a more absorbing experience for the reader. Amongst other things, she made me realise that I needed to do a major re-write of a crucial scene and that I should tone down Evadne's personality. When I later wrote my second draft, I had a list of all the changes, big and small, beside me and they undoubtedly helped me produce a stronger narrative. I sent my reader a thank you card via Melanie, who was the organiser back then, and, as many of you will know from your own experience, there is something odd about sending thanks to someone whose identity you don't know. I never expected to find out who my reader was, but when The Deserter's Daughter was published, my agent gave a copy to another of her authors, Jean Fullerton, who, when she started reading, thought it was familiar..."
A Look Behind The Book. Interview by Tara Greaves. Have you always been a saga fan? What do you enjoy about them? When we were 14, my best friend discovered Victoria Holt’s books and she got me reading them – and I was hooked. Throughout my teens I wrote gothic stories and this soon morphed into writing sagas – not because I was reading them at that point, but simply because that was the way my story-telling naturally developed. I enjoy reading thrillers, psychological suspense and US cosy crime, but my favourite fiction is the saga. I especially love books by Anna Jacobs and Carol Rivers. In a saga, there is so much material to become immersed in, both as a reader and as a writer. The traditional format of the saga is to follow the heroine as she faces and bit by bit overcomes her troubles, with various sub-plots adding further depth and intrigue to the story. I love the exploration of the characters’ lives – their relationships, ambitions, successes and failures, all the things that make them tick. The tiny details of a life can take on such significance. Sagas are about relationships of all kinds – family ties and divisions, friendships, enmity and love. Sagas have an historical setting too, which has always appealed to me, again both as a reader and as a writer. For me, the delight of the saga is seeing the heroine having to deal with challenging situations within the social and legal context of the day. Meet Me at the Diner: Chatting with Canadian author Jen Gilroy about what makes a good saga, living by the sea, The Deserter's Daughter and writing the next book. Close To Home: Chatting with Jo Barton on her Jaffa Reads Too blog, about Mancunian inspiration and the support of other writers. 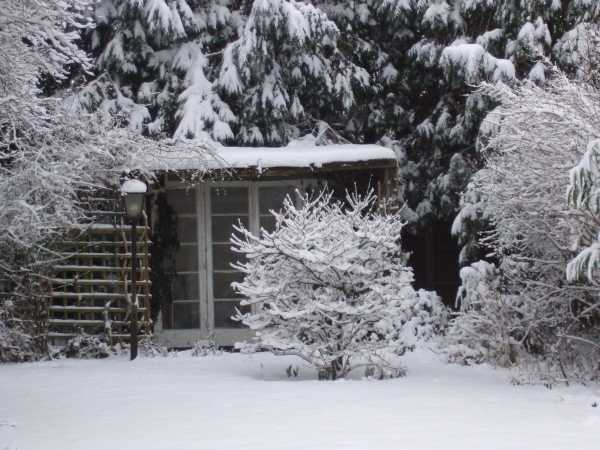 Blog interview with Jan Baynham, about what comes first, plot or character; what editing was needed on The Deserter's Daughter; where I do my writing.... and more. Having both an agent and an editor with your publisher, would you tell us about both sets of editing you had to do before the novel was published? When I met Laura for the first time, one of her questions was, "Why is The Deserter's Daughter so short?" Well, I had always been advised that you have to keep your book under 100,000 words. "It's a saga," she said. "It's at least 120,000 words." That was a terrific moment - being given permission to expand the book and dig deeper into the characters. Laura was keen for me to explore the relationships further. And before you ask, the final word count was a little under 127,000. The only edits that Lesley Crooks, my editor at Allison & Busby, asked for were two small surface-edits. One was to explain the difference between a pound and a guinea (which I worked into the narrative by way of Evadne's snobbery) and the other was to make it clear what date the baby was born. Author Spotlight. Blog interview with Julie Stock, about how ideas develop, the good and bad bits about writing, themes in my writing... and more, including a sneak preview of my second novel for Allison & Busby, A Respectable Woman. Books that go through the NWS (see the article above) and are subsequently published are entered for the RNA's Joan Hessayon Award. Here is the interview I gave the RNA when The Deserter's Daughter was a contender. Talking about the "writing rules" I follow. Three pieces of writing advice - the first I ever received; the most recent; and the advice I want to pass on. The importance of being read to. Why I love audiobooks.